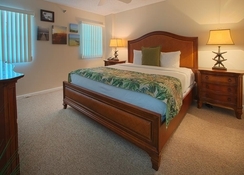 This all-suite resort features spacious Key Largo condo rentals overlooking the Atlantic Ocean; an ideal destination for enjoying the relaxing breezy days and abundant sunshine in the Florida Keys.Your options for fun and adventure are unlimited at our Tavernier, Florida hotel.From the multitude of activities on property, to the variety of water sports and other adventures in the Key Largo surrounding area, you can be sure that you will bring home memories that will last a lifetime.Our resort is a secluded, waterfront venue ideal for hosting Florida Keys weddings, groups, meetings, and retreats. 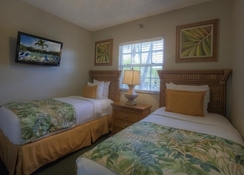 Ocean Pointe Suites at Key Largo offers suites with tropically inspired decor in their 170 spacious Florida Keys suite accommodations that sleep up to 4 or 6. All resort suites are individually styled. 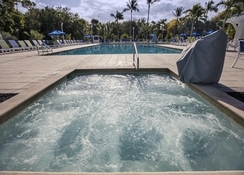 Resort suites have separate bedrooms, living room, dining area, fully equipped kitchen, and private balcony with either ocean or mangrove view of the Florida Keys.As a condominium resort with a full range of appliances in every resort suite, housekeeping services are provided on a weekly basis. Additional towels and bath amenities are available upon request.Guests of Ocean Pointe Suites at Key Largo are sure to feel at home with thoughtful amenities. Each of our oceanfront resort suites features a private balcony. 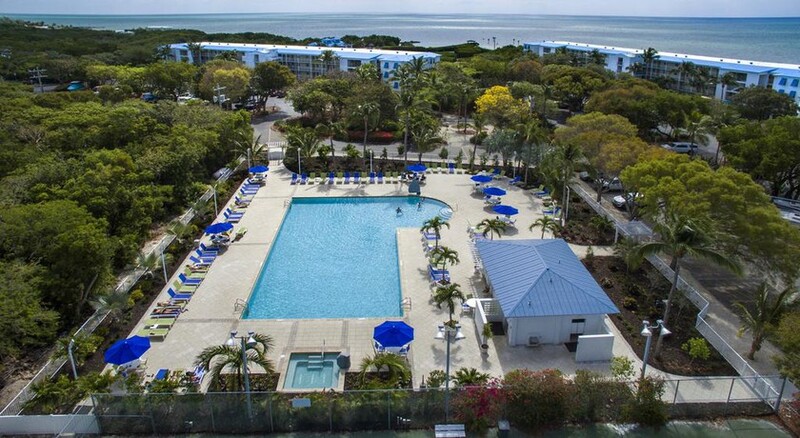 Wireless Internet access is available throughout Ocean Pointe Suites at Key Largo for a nominal fee. Enjoy a hearty breakfast, lunch, midday snack and light dinner in Ocean Pointe's cozy cafe. The cafe features fresh, pre-made options in a grab and go station, Wi-Fi Internet (for a nominal fee), an Internet kiosk and stunning resort views overlooking the marina and the beach. Our comfortable lounge also carries a full line of top shelf liquor and beer. Ocean Pointe's friendly bartenders can mix any cocktail or frozen drink you desire to top off a perfect day in the Florida Keys. Inside the cafe is our ship store; featuring convenience items, resort souvenirs and merchandise.With a polished wood interior reminiscent of a luxury yacht, our Waterfront Cafe and Lounge is the ideal atmosphere to get together with family and friends. 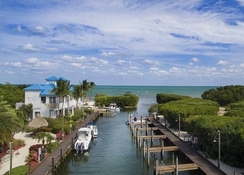 On 60 acres in Key Largo, this beachfront resort is 10 miles from John Pennekamp Coral Reef State Park and 1.7 miles from the Wild Bird Center.